Rarely, Terrorist targets are chosen based on military utility, such as disrupting lines of communication or supply, or otherwise limiting an enemy's capacity to operate but most often terrorists generally choose targets that have symbolic value or that will elicit the greatest media reaction. One way to guarantee the latter is by killing and maiming many people — to generate graphic, provocative images that can be splashed across television screens and the front pages of newspapers. The need to generate media attention is that terrorists, unlike insurgent groups, are not after military targets. Their target audience is people around the world who "witness" the unfolding events via the media. The Sept. 11 al Qaeda attacks, for example, were designed to send a message to the Western world and the Muslim communities that went far beyond the immediate destruction. Because they are usually lightly armed and equipped compared to modern military units. Terrorists usually prefer to avoid attacking "hard targets" — heavily defended or robust targets such as military units or installations. In addition, less-protected targets, such as civilians and civilian infrastructure, will generate a higher number of casualties and generate more media attention. Therefore, soft targets — lightly or undefended civilian targets and important symbols — more often are chosen by terrorists during this stage of the attack cycle. Criminals use similar criteria when choosing their targets, although their operations are often not as complex. Criminals often select their targets based on vulnerability and lack of defences or protection. Like terrorists, criminals use a rational cost/benefit analysis in selecting their targets, although for mentally imbalanced criminals, such as stalkers, the target selection process rarely follows a rational pattern. Their targets are chosen based on delusion or emotion. During the target selection phase, terrorists research potential targets. The depth and detail of the research varies with the group and the target selected. In recent years, the Internet has made this stage of the attack cycle much easier. By using any number of search engines, terrorists can obtain pictures, maps, histories and even satellite images of their targets. Activists such as anti-globalisation groups or environmental groups are very good at conducting research, known as "electronic scouting," over the Internet. After the information is gathered electronically, the plotters then conduct pre-operational surveillance of targets to determine which are the most vulnerable and desirable. During the target selection and planning stages, terrorists conduct pre-operational surveillance. In this stage, terrorists are no different from other criminals in preparing for an operation. The complexity and extent of the surveillance, however, vary with the scale of the operation and the end goal. A purse snatcher, for example, might size up the target for only a few seconds, while pre-operational surveillance for a terrorist attack could take several weeks. The purpose of surveillance is to determine the target's patterns of behaviour if it is an individual, or possible weaknesses and attack methods if the target is a building or facility. 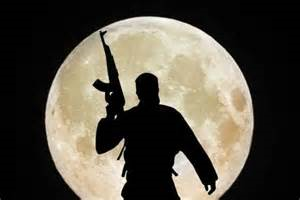 When the target is a person, perhaps targeted for assassination or kidnapping, terrorists will look for things such as the time the target leaves for work or what route is taken on certain days. They also will take note of what type of security, if any, the target uses. For fixed targets, the surveillance will be used to determine patterns and levels of security. For example, the plotters will look for times when fewer guards are present or when the guards are about to come on or off their shifts. In both cases, this information will be used to select the best time and location for the attack, and to determine what resources are needed to execute the attack. Because part of pre-operational surveillance involves establishing patterns, terrorists will conduct their surveillance multiple times. The more they conduct surveillance, the greater the chances of being observed themselves. If they are observed, their entire plan can be compromised by alerting security personnel to the fact that something is being planned. Conversely, the terrorists could end up being surveyed themselves and can unwittingly lead intelligence and law enforcement agencies to other members of their cell. Despite some impressions that al Qaeda can conduct stealthy, clandestine surveillance, evidence recovered in Afghanistan during the U.S.-led invasion in October 2001 and other places suggest that most of the terrorist network's surveillance is sloppy and even amateurish. The skills necessary to be a good surveillance operative are difficult to acquire, and take extensive training to develop. It is extremely difficult, for instance, to act naturally while performing an illegal act. Quite often, surveillance operatives will get the so-called "burn syndrome," the feeling that they have been detected even though they have not. This feeling can cause them to act abnormally, causing them to blow their cover. Thus, it is very easy for amateurs to make mistakes while conducting surveillance, such as being an obvious lurker, taking photos of objects or facilities that would not normally be photographed, and not having a realistic cover story when confronted or questioned. Counter surveillance — the process of detecting and mitigating hostile surveillance — is an important aspect of counter-terrorism and security operations. Good counter surveillance is proactive; it provides a means to prevent an attack from happening. 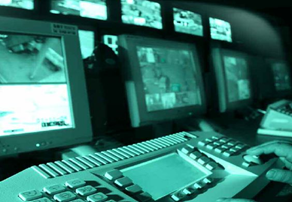 Counter surveillance can be an individual or group effort, involving a dedicated counter surveillance team. Individuals can and should conduct their own counter surveillance by being aware of their surroundings and watching for individuals or vehicles that are out of place. Counter surveillance is the proactive means of spotting terrorist and criminal surveillance during the target selection and planning stage — the time the operation is most vulnerable to interdiction. Law enforcement and intelligence agencies, corporations and individuals must understand the importance of counter surveillance — and can recognize hostile surveillance before the next phase of the attack cycle begins. Once the actual attack has begun, it cannot be undone. The genie cannot be put back into the bottle.